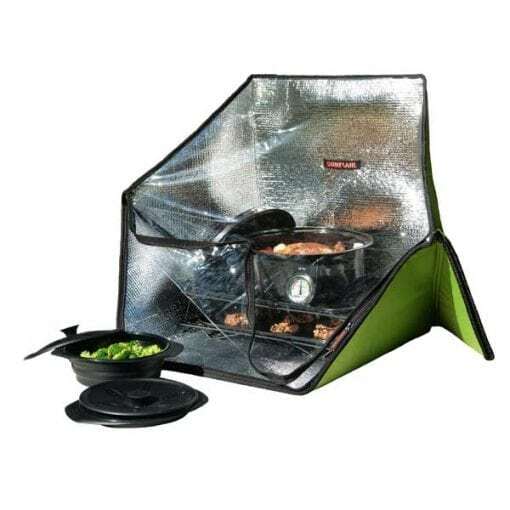 Expand your SUNFLAIR® solar oven to feel more like a traditional kitchen oven with the deluxe set. Cooks for 4-8. 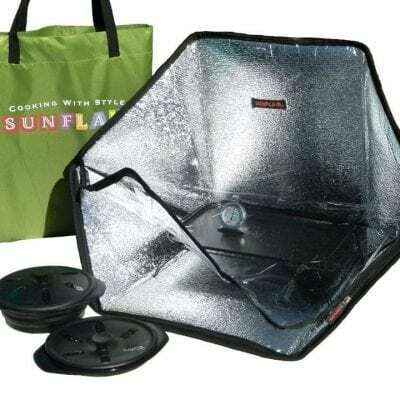 Sunflair® Solar Ovens are affordable, fun and easy. They’re also highly portable, weighing only 1 lb., 2 oz. and fold down to the size of a seat cushion. State-of-the-art closed cell insulation. This oven can reach temperatures of up to 285º F.
Silicone pots collapse to 2cm. Good to 485º F. Dishwasher, microwave, and oven safe. 30-day money-back guarantee. 1 year warranty. Temperature varies depending on season and location. Compare to slow cookers that range between 190º – 300º F or a stovetop that reaches 212º F (boiling) with simmering at 180º – 190º F. Simmering is a gentler method of cooking, ensuring more tender and flavorful food. Four-season cooking below 40′ degrees latitude and three-season above. 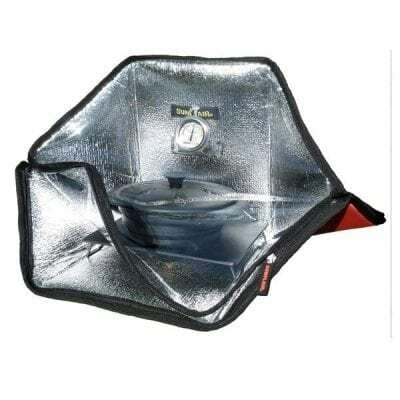 A UV index of 4+ is best for solar cooking.